We understand that childcare becomes more expensive with the arrival of a second or third child. Therefore we have tailored an offer for you and your family which we hope will make things easier. When you place two or more children in our care, we will provide a discount on the eldest child’s fee. An introductory welcome offer. We know this is a big decision for your family, especially with more than one child. Your childcare costs will vary depending on how many days your children will be attending the centre and how old they are. A free five day settling in period to help ease the transition for both you and your children. Healthy, well balanced meals designed by our Food Guru, Dean Wade and made from fresh and in-season ingredients that are all sourced in Ireland. 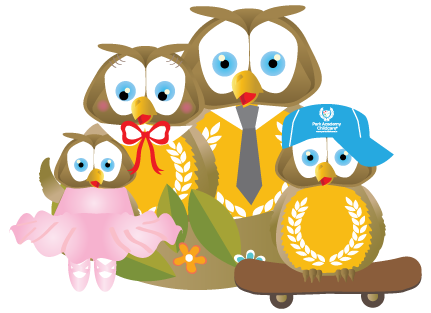 Our OWL Programme – Our World of Learning curriculum. Our JUMP Programme – focusing on keeping children active. Our NUTRITION Programme – educating children about the importance of healthy eating. An Afterschool programme, which includes a breakfast club, school drops offs and collections, supervised homework and suitable activities for school goers. Why not contact our enquiries team today to find out more about our special family of two or more offer?! Is your big day fast approaching before you return to work? Then check out our helpful guide for going back to work after maternity leave. Be prepared; use this helpful guide to make theright decision for your family.